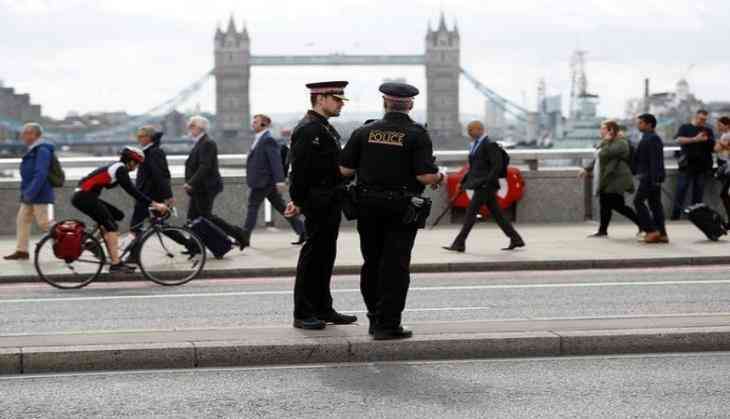 A 19-year-old boy has been held by detectives probing the London Bridge attack, on suspicion of preparing terrorist acts following a raid in Barking, east London. The Scotland Yard has confirmed the arrest, which brings the total to 21 arrests in the case. Meanwhile, detectives from the Metropolitan Police's counter-terrorism command are searching the address and another in Barking where a 28-year-old man was arrested on Saturday, reports Guardian. A total of seven men are in custody after the 3 June attack that left eight dead and dozens wounded. The twelve people who were arrested in the initial stages were released without charges. A 27-year-old arrested under the Terrorism Act on Tuesday was also released without charge on Saturday.